Have you walked into your local Home Depot lately? To say that Halloween decorations have been taken to the next level might be the understatement of the year. We’re talking 20-foot-tall dinosaur skeletons and realistic talking Crypt Keepers that would send any adult running for the hills, let alone a little kid. Over-the-top decorations are cool and all (and believe us when we say we love visiting the houses in the neighborhood who have them on display), but what about the rest of us who just want to keep things, oh, not ridiculous? Thankfully, there is a happy medium between crazy decor and nothing at all. 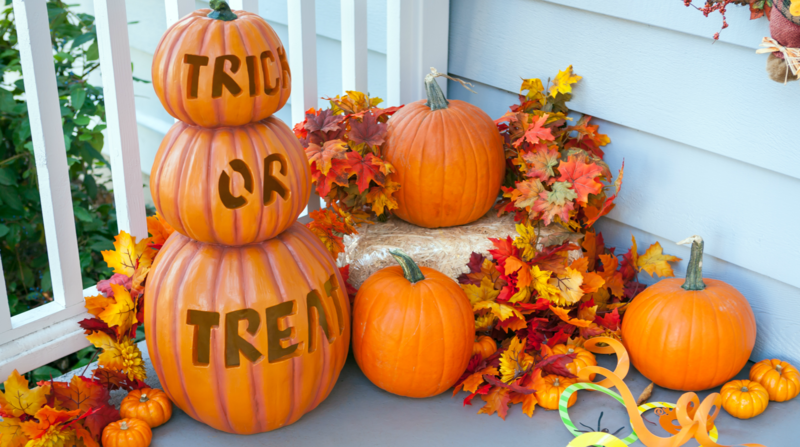 It’s totally possible to decorate your porch so that it’s classy, yet slightly scary and festive — but not so scary that the tiniest of trick-or-treaters won’t come to your door. 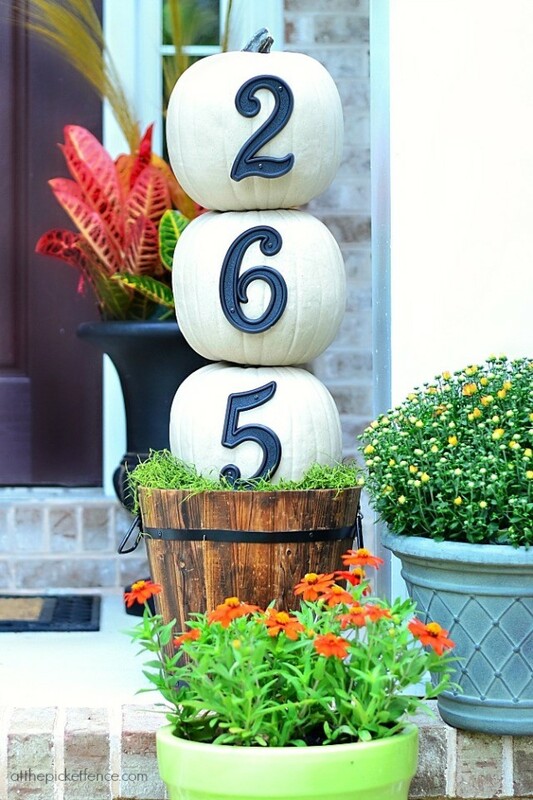 How cute is this DIY light-up pumpkin topiary from Jen over at Tatertots & Jello? Hop on over there for instructions to make your own. Did you realize you can decorate the roof of your porch too? 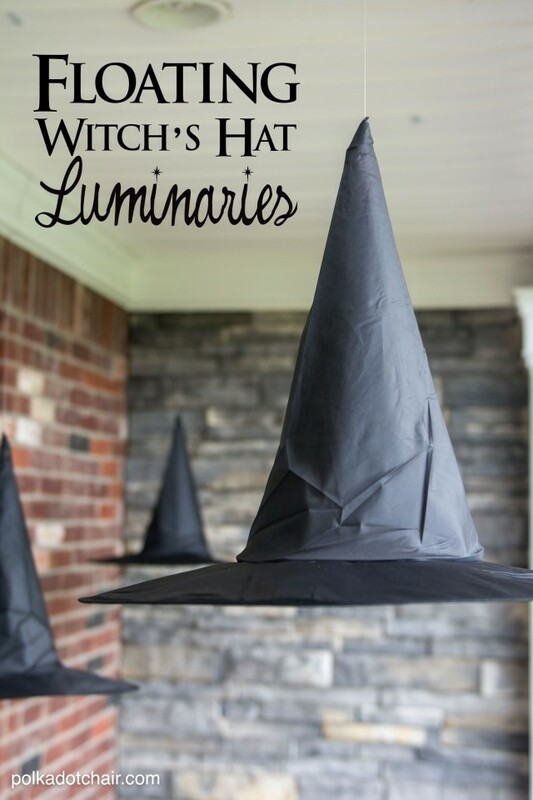 This year, I’m adding to our porch decor with these floating witch’s hat topiaries. Get the how-to here. Your decorations don’t always have to be spooky. 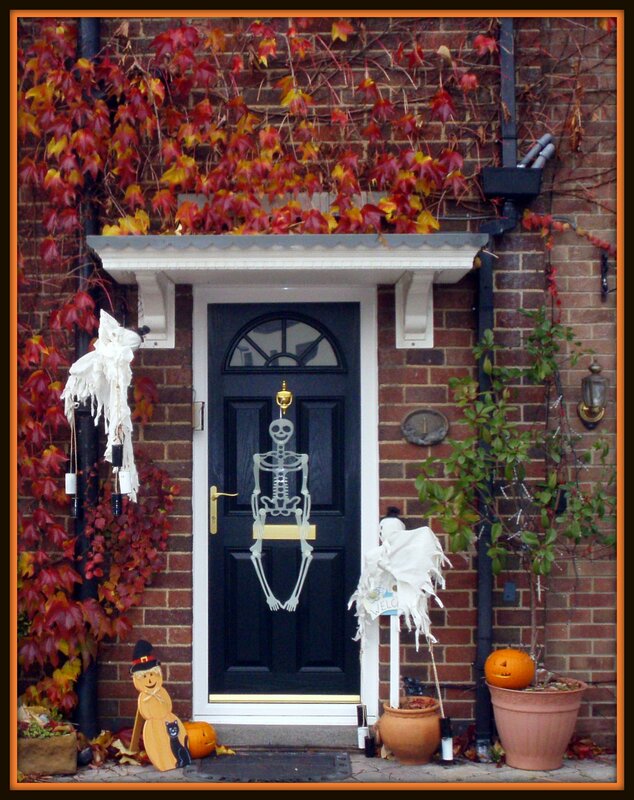 Why not try doing something a little bit fun with your front door? 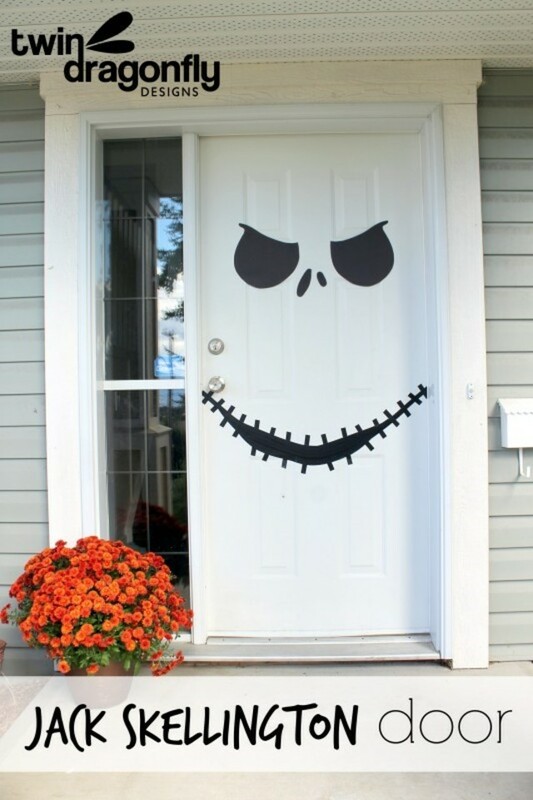 Speaking of door decorations, this Jack Skellington-inspired door will make any Halloween fan smile. If an elegant porch is more your style, this porch from Our Vintage Home Love is packed with wonderful ideas. Cute wall art is not just for the inside of the house. 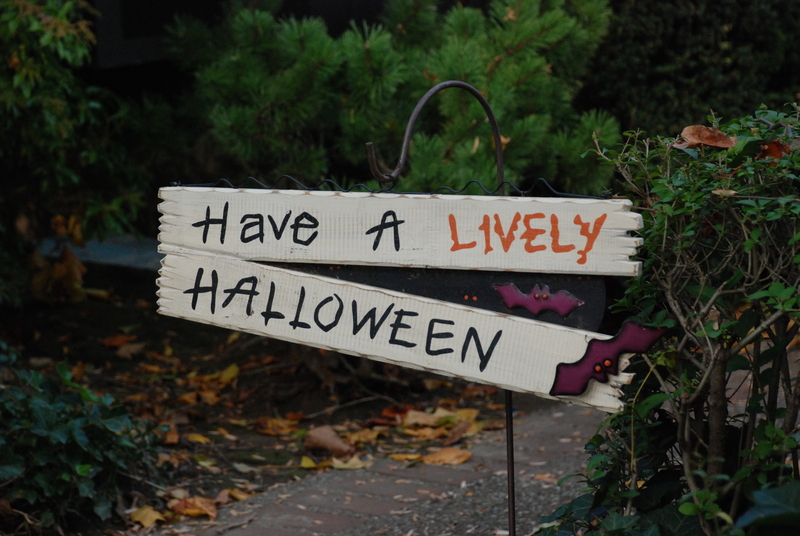 Here it’s used to welcome and “warn” impending trick-or-treaters. 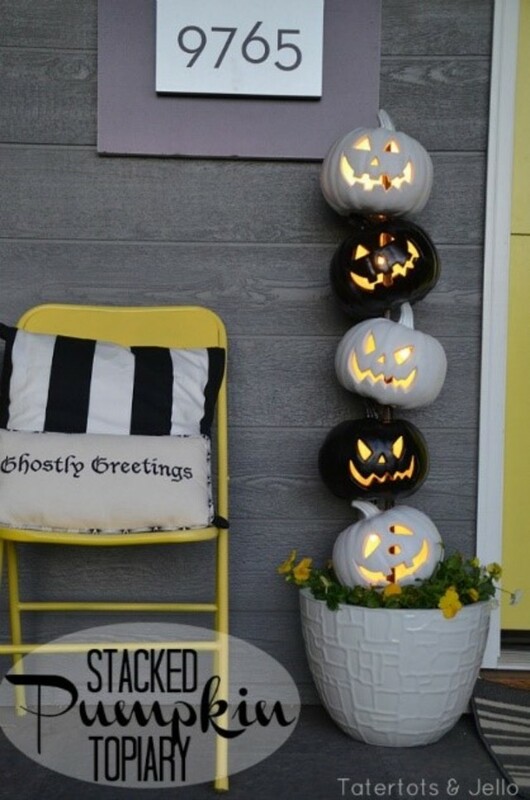 From the painted pumpkins to the birds welcoming you on the porch, there are a dozen great decorating ideas in this article from Midwest Living. 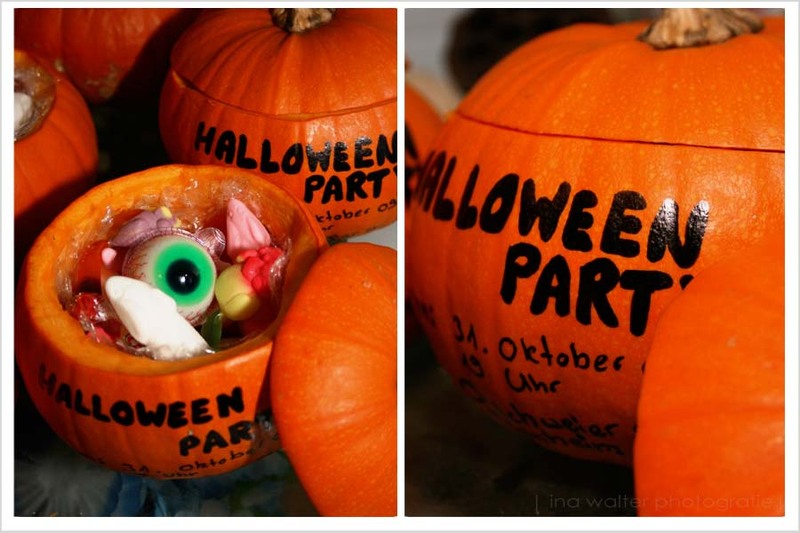 Country Living has the DIY for this clever way to serve candy or treats. Pull up a chair and sit for a while. 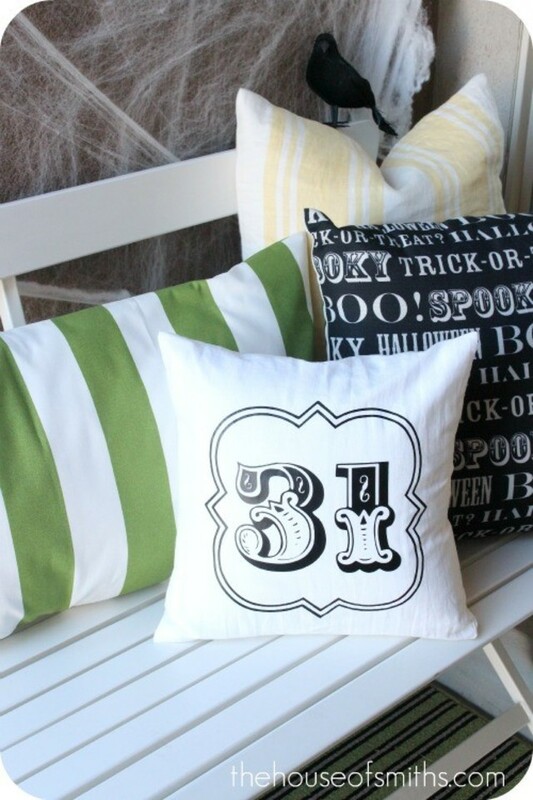 Make your porch more inviting with some great Halloween-themed pillows from House of Smiths. 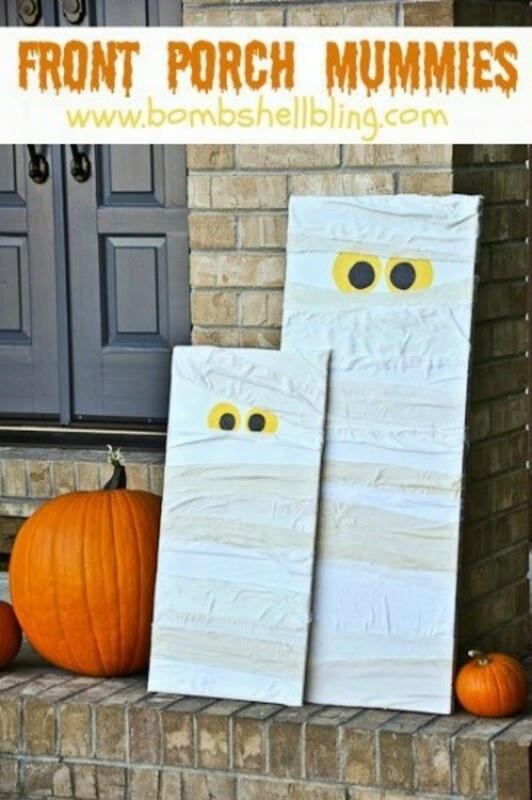 Turn some simple boards into mummies that will welcome your guests in style. 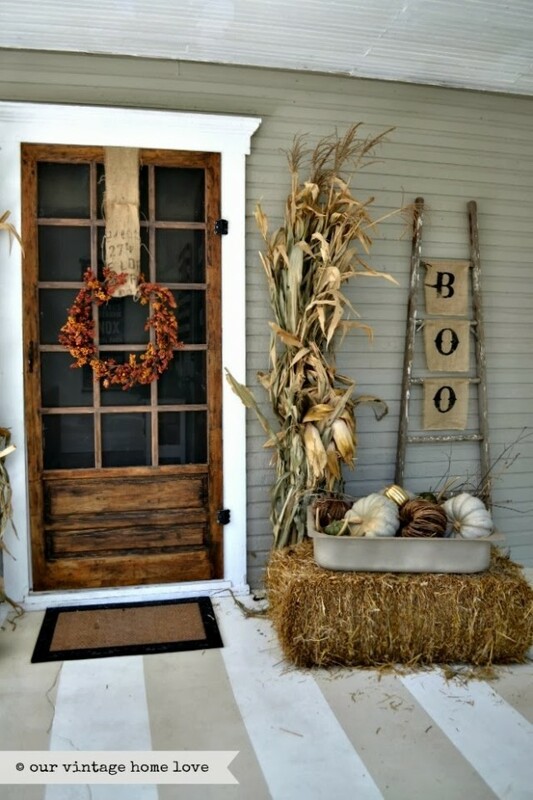 No front porch is complete without a wreath on the door. To DIY your own, get the directions here. 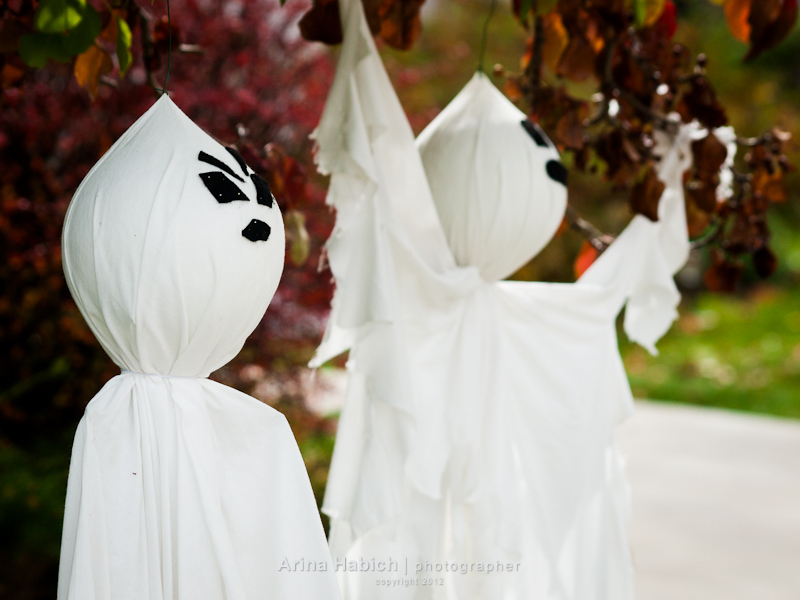 These ghosts are easy to make, and they add a great touch to your outdoor decor when they billow in the wind. 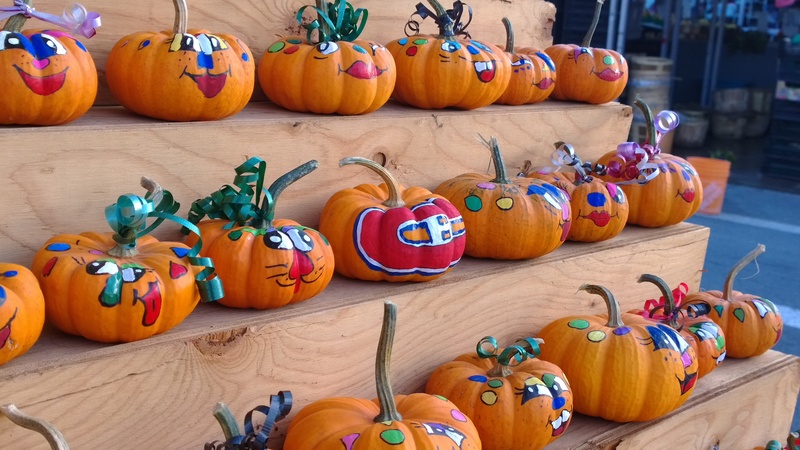 This DIY pumpkin topiary is both functional and cute. 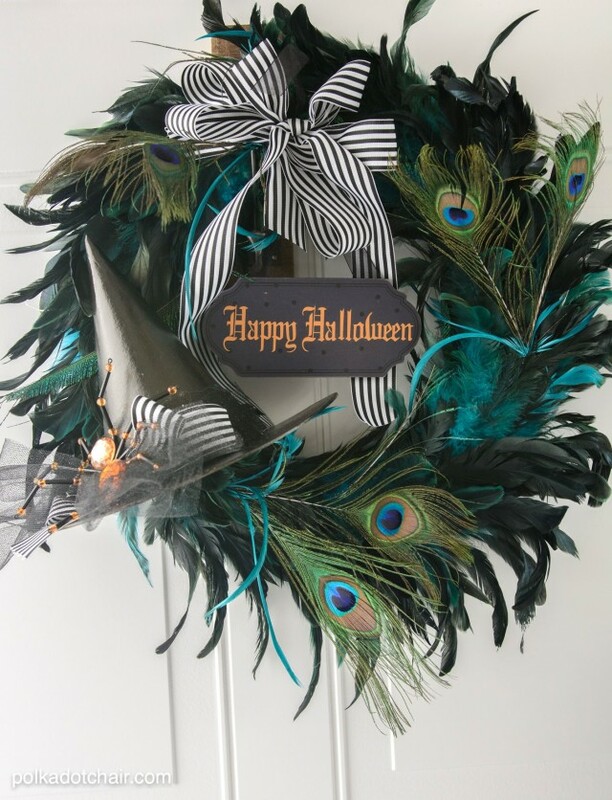 Start with a simple feather wreath form and add a bit of ribbon to create a customized wreath for your front door. 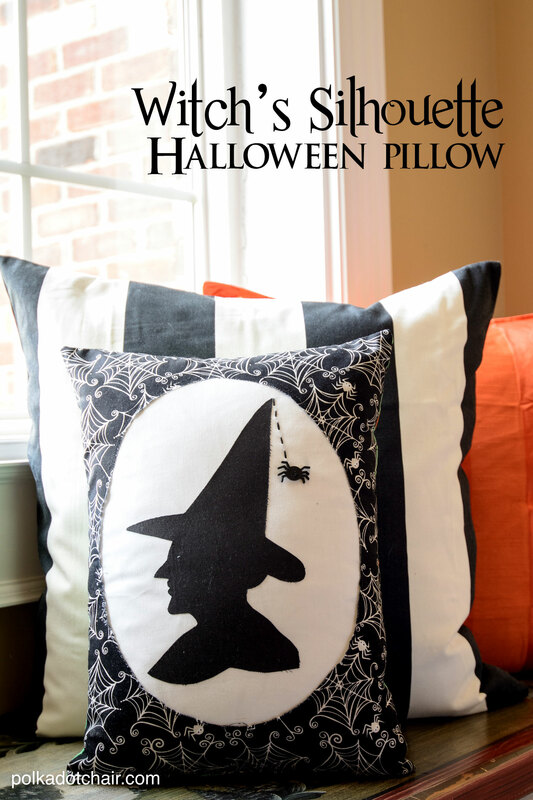 You only need basic sewing skills to stitch up this fun witch’s silhouette pillow. Get the full tutorial here. Originally posted October 2015. Updated October 2017.